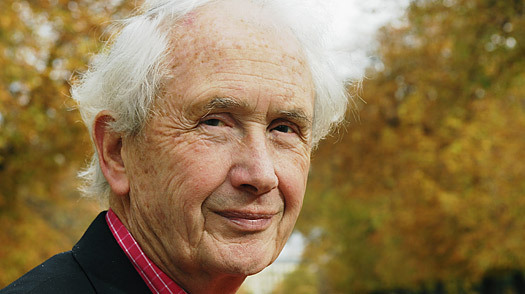 For most of his life, until he was well into his 60s, Frank McCourt wasn’t a writer, he was a teacher. But it is as a writer, the author of the wildly successful memoir Angela’s Ashes, that he will be remembered. He died on Sunday in New York of meningitis. He was 78 years old. McCourt was born in Brooklyn in 1930  he would later, much later, memorably describe the scene of his conception in his memoir  but he grew up in Ireland. His parents were both Irish immigrants, and they moved back there, to Limerick, in an effort to stay ahead of McCourt’s father’s drinking problem. They didn’t succeed. Malachy, Frank’s father, worked intermittently as a laborer, but he drank constantly. What kept McCourt alive then, and would make him as a writer, was his humor and his love of words. “In reality, our life was worse than Frank wrote,” said McCourt’s brother, also called Malachy. “Insane outbreaks of laughter saved us.” McCourt once said that as a child he dreamed of being a prison inmate in the United States, for the food and the warmth. Instead he became a hospital inmate: he caught typhoid at age 10 and spent three months well-fed in a well-heated hospital. The hospital also had a well-stocked library. It was there that he read his first lines of Shakespeare, and began a lifetime as a devoted reader. Malachy senior was a tender father at times, and a dazzling storyteller, but he was dominated by his addiction to alcohol and eventually all but abandoned the family. At 11, McCourt became their principal source of income, stealing and working odd jobs. Although he quit school, he continued to read whenever he could. At 19, he returned to the United States, served in the Army during the Korean War, and earned a degree at New York University under the G.I. Bill. Although he kept a journal, and dabbled in journalism and the theater, McCourt spent most of the next 30 years teaching English and creative writing in New York City schools for a modest salary. He had a natural flair for it. On his very first day in the classroom one of his young charges threw a sandwich at another kid. McCourt picked it up and ate it in front of the class, while the students watched, stunned. He had taught his first lesson: an object lesson in what it means to survive starvation. The result was his memoir Angela’s Ashes, which appeared in 1996, when McCourt was 66. The book told the story of his early years in a voice purged of anger and bitterness and self-pity. In an extraordinary act of forgiveness, he wrote about his father with humor and even compassion. Angela’s Ashes was published quietly, as the personal memoir of an Irish childhood. “My dream was to have a Library of Congress catalogue number, that’s all,” McCourt said. But it became first a critical sensation, then a runaway bestseller. In 1997 McCourt won the National Book Critics Circle award and the Pulitzer Prize. McCourt followed Angela’s Ashes with two more volumes of memoir. ‘Tis picked up where his first book left off, on his arrival in New York City; it sold spectacularly but received mixed reviews. Teacher Man  which was both a critical and a commercial success  recounted his backbreaking years teaching English and creative writing, 18 of them spent at New York’s famous magnet school Stuyvesant, where he was a legend as a compelling teacher. “George Bernard Shaw said those that can do, and those that can’t teach,” McCourt was fond of observing. “Just goes to show that Shaw didn’t know his arse from his elbow about teaching.” Although he often spoke of a novel in progress, it has never been published.